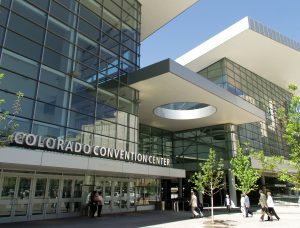 The American Association for Justice (AAJ) Annual Convention that recently took place July 7-10, 2018 in Denver, Colorado, was an eye-opening experience. I was asked to speak on Avoiding Ethical Missteps in Promoting Your Firm, as part of a Professional Negligence Section CLE Program track. Besides a multitude of CLE programs on themes that ranged from trampoline injuries to the hugely popular (standing room only) sexual assault litigation group programs in what is now the #MeToo era, I found that a walk through the Expo Hall offered dozens of vendors providing products and services geared toward marketing, business development, and simply getting leads…and converting them. Some were quite entrepreneurial and unique; some made me a bit queasy (regardless of whether I was wearing my marketing attorney hat or ethics attorney hat, or both). There are seemingly hundreds of companies with the “best” web development, SEO and PPC strategies. And, yet, there were products that got me to stop, watch a demo, and grab a business card. The track in which I participated as a faculty member, Professional Negligence, offered an excellent day of subjects and attorney speakers, including: Finding Damages Through Every Witness Defense and Plaintiff, J. Jude Basile; my Avoiding Ethical Missteps in Promoting Your Firm session; Cross-Examination of Defendants in Medical Negligence Cases, Paul A. Casi; Captivating the Jury, William P. Lightfoot; Leveling the Playing Field: A Jury Selection System that Roots Out Bias, Keith R. Mitnik; Practical Application of Electronic Medical Records for Trial, James Puga and Don Hanson; The Affordable Care Act: Are Future Damages a Thing of the Past?, Emily G. Thomas; Topics in Calculating Economic Damages for Personal Injury and Wrongful Death, Gene A. Trevino; Direct Examination or “The Heart of the Trial”: Direct Examination From A to Z, Thomas J. Vesper; and Avoiding Legal Malpractice, David L. Wikstrom.